Goodfellow AFB is in San Angelo, Texas. 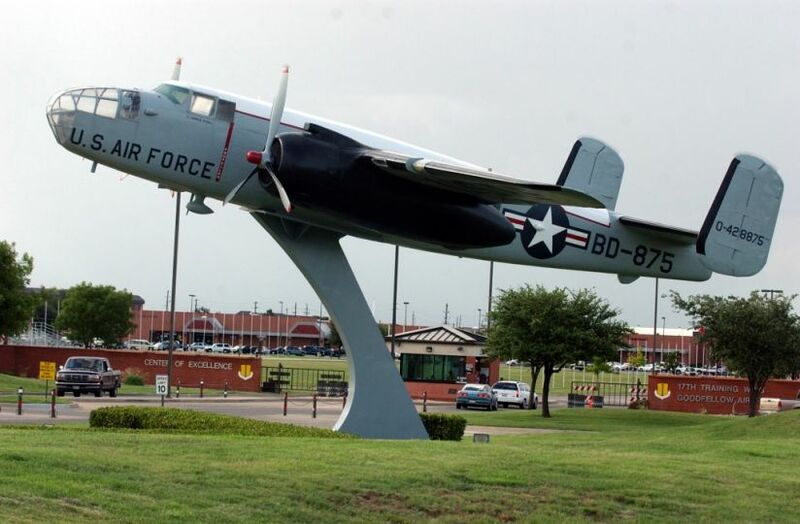 San Angelo is a military-friendly, generally low-cost area located in Tom Green County in central Texas, 4 hours northwest of San Antonio and 4.5 hours southwest of Dallas. The zip code for the base is 76908. San Angelo has a grand Visitor Center that is open 7 days a week which is located at 418 W. Ave B.
Goodfellow's history traces back to the period prior to Pearl Harbor when President Franklin Delano Roosevelt, responding to the spread of aggression across Europe, Africa and Asia, began a program of preparedness that included the construction of facilities dedicated to advanced air training. Several such bases were envisioned for Texas and one, specifically, for the Fort Worth-Midland-San Angelo triangle. Civic leaders from San Angelo immediately recommended their community to the War Department. A generous offer of sewage and electrical service, railroad spur, and a 50-year lease on 640 acres at one dollar per year easily decided the issue. Construction of the new San Angelo Army Air Corps Basic Flying School began at once. Officially established on 17 August 1940, the base was ready for occupancy by January 1941; the first class of students arrived in February. On 11 June 1941 the base was officially renamed Goodfellow Field. The next four years witnessed the graduation of more than 10,000 pilots and the decoration of scores of these for outstanding heroism in action against Germany, Italy, and Japan. Goodfellow continued to train pilots into the post war period, first on the AT-6 Texan and then, beginning in 1954, on the twin-engine B-25 Mitchell. On 3 September 1958, with nearly 20,000 aviators to its credit, Goodfellow graduated its last class of pilots. The end of flying training at Goodfellow marked the transfer of the base from Air Training Command to the USAF Security Service and the beginning of a new mission--the training of Air Force personnel in the advanced crypto logic skills that the Security Service required at installations worldwide. Eight years later, in 1966, the mission expanded further to include joint-service training in these skills for Army, Navy and Marine Corps personnel. Reverting to Air Training Command in 1978, the base emerged from a brush with closure to become a Technical Training Center in 1985 and the site for the construction of all Air Force-managed intelligence training. During the next three years, Goodfellow received advanced imagery training from Offutt AFB, Nebraska; electronic intelligence operations training from Keesler AFB, Mississippi; and targeting, intelligence applications, and general intelligence training from Lowry AFB, Colorado. On 1 July 1993, the 17th Training Wing was activated at Goodfellow. With the change in name came a marked diversification and increase in mission as the base realignment and closure process brought special instruments training and fire protection training to the base. To support the increased training load, Goodfellow underwent extensive modernization and growth entering the 21st century as one of the most modern installations in the Air Force. Develop exceptional Intelligence, Surveillance, and Reconnaissance and Fire Protection Professionals for America and Her Allies. 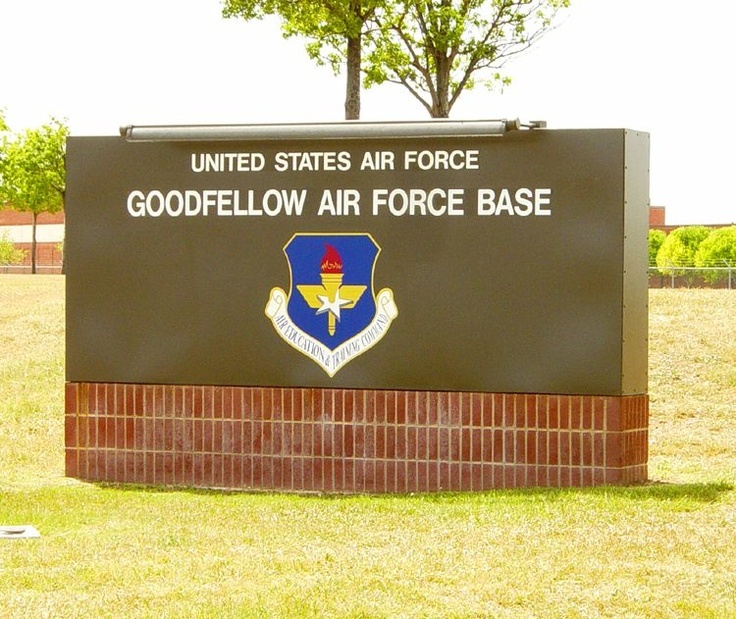 Goodfellow AFB is a joint service base and trains over 9,000 students a year from all services. At any given time, we have over 5,000 Military, 800 Civil Service, and 12,000 family members on the installation. An on base taxi service is available for official business only, to contact the Base Taxi Dispatch please call 325-654-5744. 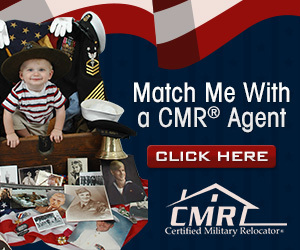 A sponsor will send permanent party Air Force members a sponsor package, answer questions about the base and the area, make lodging/dorm arrangements, and meet newcomers upon arrival. A Sponsor will help members and their families until settled into the new community. The Postal Service Center can be reached at 325-654-3466 or DSN 312-477-3466. Members who will be living in a dorm may request a Post Office Box up to 60 days prior to arrival or, sponsor may bring in a copy of member's orders. Any member may contact the above number to request that General Delivery mail be held until member arrives, or moves off-base. Without these prior arrangements, General Delivery mail is only held for 15 days. The General Delivery address is: General Delivery, Your Name, 161 Nuchols St, Unit 8000, Goodfellow AFB, TX 76908-3321. Post Office hours of operation for mailing are 8:00 a.m. - 1:00 p.m. and 2:00 - 4:30 p.m. PSC window hours are 9:00 a.m. – 5:00 p.m., and mail boxes can be checked anytime. There are no flights arriving or departing on Goodfellow AFB. The base is about 10 miles from the airport. The commercial airport is San Angelo Regional Airport/Mathis Field, located at the southern edge of San Angelo, TX. The airline code for Mathis Field is SJT. It is a small airport, served by American Eagle Airlines (flights to/from the Dallas/Fort Worth Airport). No shuttle service is available; cabs are approximately $20 for 1 passenger with luggage. Avis, Budget, and Hertz car rental companies are located at the airport. Exit right on Knickerbocker/584 (heading North). Take Knickerbocker to Bryant Avenue (US 87) and take a left. Next, take a right onto Avenue L. Avenue L will turn into Paint Rock Road. If it's a weekday (not a holiday) from 6:00 a.m. - 6: p.m., you can stay on Paint Rock and take a right on Kearney Blvd. This is the north gate of Goodfellow AFB. During nights and weekends, from Avenue L, turn right onto Chadbourne St. Proceed about 2.5 miles; the south gate of Goodfellow AFB will be on the left. The Angelo Inn is located approximately 1/2 mile down Kearney on the East side of the road. Take a right on Farm-Market Road 1223 to Goodfellow. Stay on this highway to Loop 306, then take a right on Paint Rock Road to Goodfellow. Take a left onto Avenue L. Ave L becomes Paint Rock Road - continue on Paint Rock Road. Shortly after crossing Bell St at the traffic signal the Goodfellow north gate will be on your right. Take a right on Loop 306. Follow Loop 306 as it joins South US 87/277. Take the Country Club Road exit (you should see a sign pointing towards Goodfellow). At the stop sign, turn right. Turn right again and proceed across the overpass to a traffic light. Turn left on Christoval Road and proceed to the traffic light (approx 2 mi). Turn right onto Chadbourne St. Proceed about 1 mile; the south gate of Goodfellow AFB will be on the left. The Main Gate is open 24/7. If accessing the installation during non-duty hours, the main gate will issue a pass for the duration of the weekend. For questions, you may call 325-654-4122, DSN 312-477-4122. No listings found for Goodfellow Air Force Base.